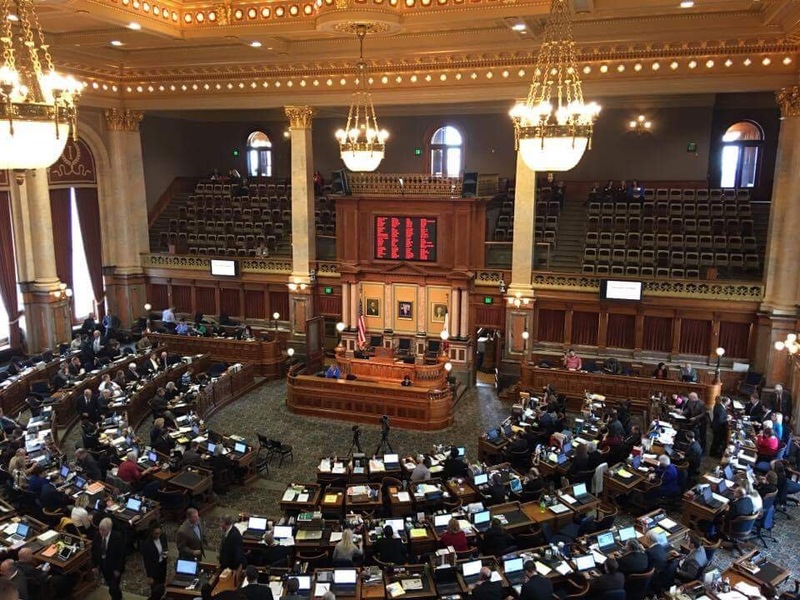 A bill to reform the process for civil asset forfeiture passed the Iowa House on Monday. SF 446 was introduced by Representative Greg Heartsill (R, Melcher-Dallas) following its passage in the Iowa Senate. 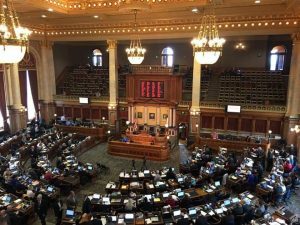 The bill received bipartisan support in the House and now awaits passage by Governor Branstad. “Civil asset forfeiture is a legal process whereby property may be forfeited to the state if the state can show by a preponderance of the evidence that the property was used to facilitate a crime, was furnished in an exchange that is a crime, or is the proceeds of a crime. This was primarily used to crack down on drug trafficking, and by and large, it has been successful in that effort. However, there have been several cases cropping up around the United States where civil asset forfeiture has been employed in lesser degrees of suspected criminal activity. Since the burden of proof for forfeiture of seized property is lower, the person whose property was seized may not be given due process. In some cases, the legal cost of regaining the seized property exceeds the value of the property. For example, if you have $1,000 in cash seized, it will cost you far more than that in legal investment to prove your innocence and reclaim your seized property. This results in a lot of folks choosing not to fight it. This results in many of the accused being guilty before they are proven innocent. In summary, this bill does the following: Prohibits civil asset forfeiture without a criminal conviction for property valued less than $5,000; increases the standard of proof required for asset forfeiture from “preponderance of the evidence” to “clear and convincing evidence”; places the burden of proof to be placed on the prosecutor; requires a proportionality review of the property that is being forfeited; and lastly, requires law enforcement agencies to document certain records related to asset forfeiture, requiring more transparency in the process,” stated Representative Heartsill in his opening remarks. Representative Mary Wolfe (D, Clinton) served on the subcommittee for the bill. She expressed her support for the bill. The bill was passed by a vote of 95-1, with four absent. Susie Washta of Des Moines is a follower of Iowa Politics.